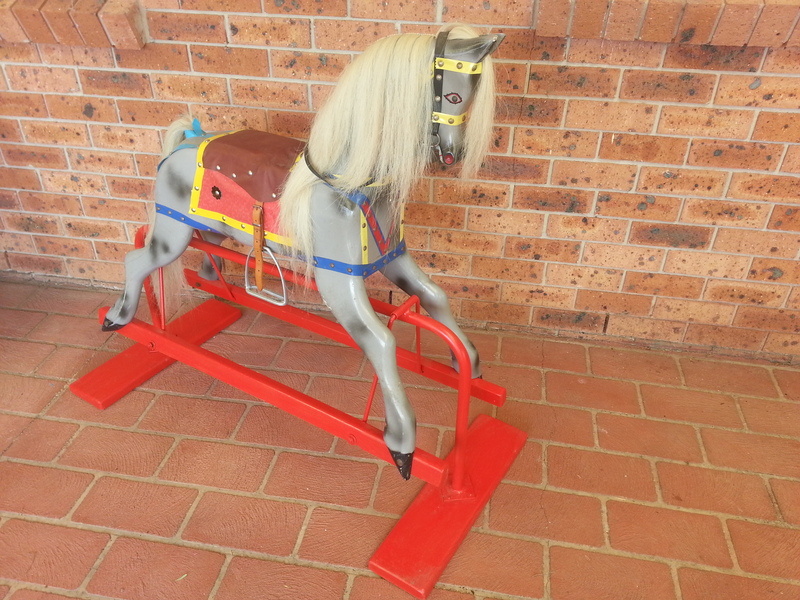 This is an initiative where we offer to take old Rocking Horses off your hands that are no longer used; rather than them being dumped, we repair them and make them safe, spruce and paint them up and re-home them through churches and charities to less fortunate children; whose families have little or no money; so these Rocking Horses can be loved and appreciated once more. This horse was donated by Mrs Jo Quinn of NSW. This was her childhood horse. Her children had grown out of it and rather than selling it, she wanted other children to get as much enjoyment out of it as her, so she chose to donate it to children who would appreciate it. We cleaned it up; re sprayed the stand, fitted new hair, stirrups and leathers and replaced missing straps and made it safe ride. We then found it a new home at Parramatta Mission.